In the past few years, Telecom sector has been jubilant over the groundbreaking sales of smartphones and tablets. The digital space and internet world are brim, with numerous compelling devices being added every day and the number doesn’t seem to stop anytime soon. There is an exponential surge in consumerization of IT – Bring your own Device (BYOD) being the top in the list. On one hand if there is a boom in smartphone and tablets market, on the other side companies grapple with the challenge of supporting and managing such a gamut of devices owned by businesses and employees. The intersection of cloud and mobility has created trends of explosive growth, but they also come with key issues and IT pressure. Let’s discuss some of the impending grey areas. Data security & Network capabilities: Your IT environment needs to be robust enough and sufficiently developed to allow seamless transfer of applications to a hosted model or software-as-a-service (SaaS) solution where the application itself resides in the cloud. With growing budget of corporate software development for mobile apps, issues of scaling and management of growing demand also arise, especially with the routine increase in density of mobile users accessing cloud-based data and applications. Data Security of Mobile devices: Although cloud platforms are secured with SSL and digital certificates yet data security for mobile devices remains to be looming – more importantly it stems from when people lose their devices which happens often. 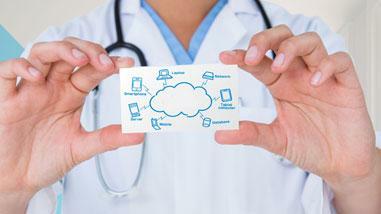 Similarly, managing the data integrity is a pressing issue when users sync their devices with the cloud. If one of your resource is updating a document and doesn’t sync the latest back to the cloud, other users will be stuck with the older version. Multi-platform access: To provide multi-platform access to your users when operating within private cloud networks is a huge challenge since the private cloud architecture is very complex. Updating Security policies: With evolving cloud ecosystem and mobile apps the security policies too need to be constantly updated which will be a proverbial task in progress. As per an IDC cloud survey of nearly 1700 technology decision makers, “Concerns about the security of various cloud computing solutions and the risk of unauthorized access as well as concerns over data integrity protection is ranked No. 1”. Irrespective of the company policies people have the tendency of using their mobile devices both for official and personal purposes. One of the options for remote management of mobile devices is offering tools like encryption and passwords to create “enterprise sandboxes” that segregates the personal and corporate data conveniently. BYOD prepared infrastructure: Another daunting problem that IT providers come across is the preparedness of their IT infrastructure for an enterprise BYOD policy to make it possible for data to be transmitted and accessed easily from a range of mobile devices with various operating systems. 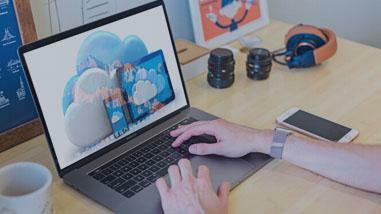 Collaboration of access: Accessing the cloud via mobile devices can become a big problem for collaboration. Several mobile platforms are not supported by sophisticated document editing tools. In addition, there are a very few options for multi-party video conferencing while using document sharing option over the cloud. Network Infrastructure: Network infrastructure need to be continuously upgraded, should be latest and strong to maintain consistence in connectivity, else the cloud app will be rendered completely inefficient and useless. This problem can be handled by using the HTML5 that enables data caching that further empowers the mobile cloud application to function normally and continuously even during an outage. Mobile Cloud Computing is a hybrid model that is a mix of Mobile devices accessing the services remotely available on the cloud. Many organizations are still in its initial stage of implementation and getting a grip of exploiting the benefits of it. In tow of these issues the benefits of cloud mobility can be impeded which needs to be addressed for optimized cloud-based mobility infrastructure. 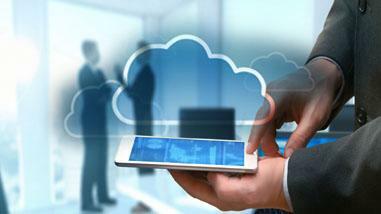 We will discuss the benefits of cloud-based mobility solutions in our next blog.